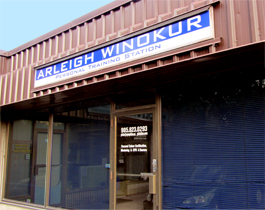 Meet Arleigh Winokur, Mississauga Personal Trainer. 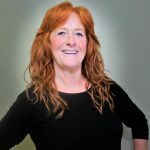 She is a well-known and highly respected personal trainer and group fitness instructor with over 25 years of experience in the Mississauga area, and boasts an extensive list of satisfied clients of every type. Whether you are getting on in years and are dealing with the aches, pains, stiffness and borderline injuries that go with it, or you are in good shape but want to go “up a notch” to a more elite level of fitness, or you fall somewhere in between, Arleigh knows exactly what you need. She is one of the most knowledgeable personal trainers in Mississauga and is very dedicated to all of her clients. Read the Google reviews of some of the feedback on her Testimonials, or simply ask any one of Arleigh’s clients, and they will praise what they feel she has done for them. Arleigh’s clients also agree on one important thing, and that is that she is very reliable and respectful of the time commitment her clients are making to their health and fitness. This means that once she sets an appointment with you, she keeps it! Arleigh’s clients agree that she will do backflips to make sure scheduling is as efficient as possible, and that her client is always the priority! The Personal Training Station is all about ideas and services, health and fitness, workouts and fun, achievements and triumphs, and not as much about a bricks and mortar location. So while we do not boast fancy marble countertops and a walk-way lined with rose petals, we do hand you a clean towel and a bottle of water, and provide a very well-equipped private workout space to keep you moving towards your goals. • Expect results, BIG results! Check out Arleigh’s reviews on Yelp!